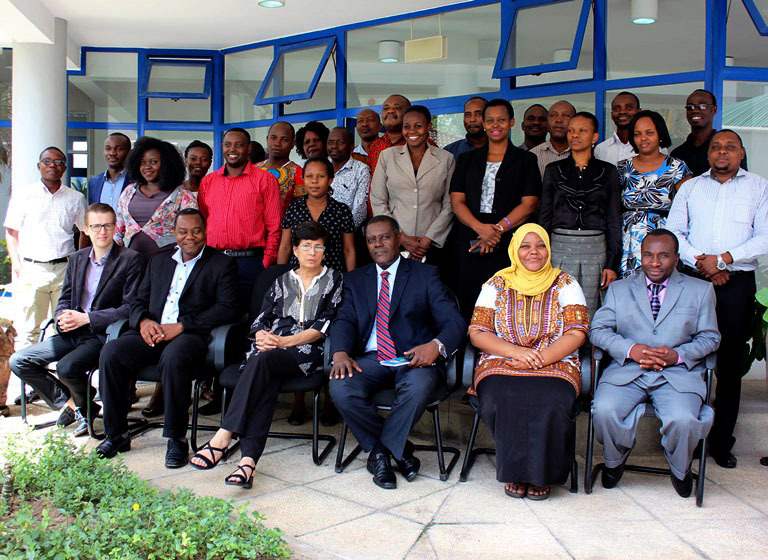 Haki na Usalama’s First Stakeholders Meetingtook place on April 11, 2016 in Dar es Salaam. It was hosted by the Commission for Human Rights and Good Governance (CHRAGG) and featured wide representation of actors interested in police reform, including various civil society groups, Tanzanian Police Force, Tanzania Prisons Services, Office of the Attorney General and Open Society Initiative East Africa (OSIEA). Welcoming remarks given by variety of stakeholders were followed by a key-note address by CHRAGG’s Chairperson Hon. Bahame Tom Nyanduga. He expressed his satisfaction with participants coming from all backgrounds including the police, prisons services and the government: “We are not talking to ourselves, like human rights minded people usually do”. Chairperson thanked Commonwealth Human Rights Initiative (CHRI) for initiating the conversation about the police reform to improve law enforcement institutions. At the same time, in his own words, Tanganyika Law Society (TLS) deserves credit for coordinating the Forum. He went to address pressing challenges Tanzania faces in terms of improving the policing and carrying out comprehensive criminal justice reform. The criminal justice system needs to be just, it should exist in the interest of every citizen of the country and it should benefit everyone. It should not be a tool of oppression, but a tool of promoting and protecting human rights and a just society. Stephen Msechu from TLS, the coordinator of the Forum, gave an overview of Haki na Usalama, its goals and objectives, which was followed by CHRI’s Maja Daruwala providing account of CHRI’s experience promoting democratic policing in East Africa and coalition building in Kenya. The forum we are starting here today has all the elements of success I mentioned above. But I also believe it is an improvement compared to Kenya’s Usalama forum. Haki na Usalama has even more potential since it brings together not only civil society members, but a diversity of interest groups. It is more about conversation than lobbying, it is more about building bridges than amplifying the divides, it is more about collective effort of all relevant stakeholders than one interest group’s. Following the presentations by CHRAGG, TLS and CHRI, participants engaged in discussion and group work to identify strengths of the Tanzanian criminal justice system, challenges that the country faces in this regard as well as ways forward.